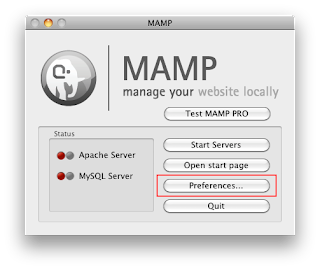 In this tutorial we want to show how to install the free version of ExpressionEngine using MAMP. 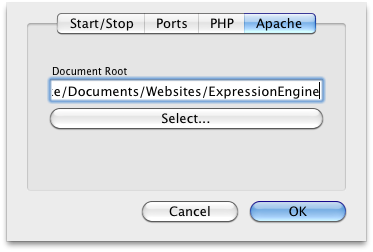 Use the Finder and create a folder "ExpressionEngine" at this directory: "/Documents/Websites/"
Click on the "Apache" Tab. Click on the Tab "phpMyAdmin"
Delete files eventually created automatically at the directory "/Documents/Websites/Expressionengine"
Copy the files from the EECore1.6.8 directory into "/Documents/Websites/Expressionengine"
Click "Click here to begin"
Navigate to "Create your admin account". Click on "Click here to install ExpressionEngine!" 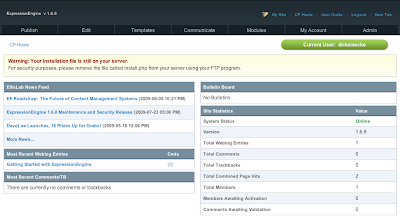 Now you can navigate to the Control Panel by opening the URL: http://localhost:8888/system/index.php. Login by using your username and password used at step 31.